Cloud Service has become one of the integral parts of life now. Everyone from mobile to desktop users is taking the advantages of the cloud. Microsoft OneDrive and Google drive are providing promising service through the cloud. With evolution as the core of software industry; one has observed changes in all fields of software. Be it Hotel Management, Sales and Marketing or be it Finance and Accounting; software and technology has kept on evolving. In the arena of Accounting, adapting to the future of accounting software will determine the future of the companies. The future of accounting revolves mainly around these terms: cloud-computing, artificial intelligence, compliance and round the clock support. Accounts have migrated from earth to clouds with the Cloud based Accounting Software. Cloud-computing has contributed to each field in the wide expanse of software fields. 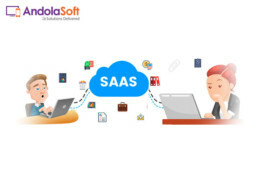 With help of cloud based accounting software’s, accountants have an access to the software from anywhere, only by possession of mobile, tablets, laptops or any internet connected device. The secure systems having installed software are now portable. Darwin’s theory of Evolution has surpassed humans, now even artificial intelligence is evolving. Artificial Intelligence is a miracle worker. Earlier self-computation of formulas, reconciliation of data with business strategy, prediction of finance requirements and numerous menial tasks required manual intervention. Now they have been replaced by complex algorithms which make account’s life easier. The trend of artificial intelligence is here to stay. Future of any Accounting Software will depend on their compliancy. Compliance with government norms of billing, filing, auditing and taxes will determine the usability of software. Software providing these internally integrated services will be the best pick of accountants across the globe. Compliance will reduce the daunting task of collaboration with different departments of a firm. Earlier offline software required personnel support from the software companies. 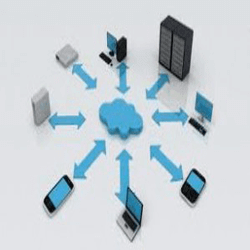 With cloud computing, personnel support will become virtual with telephonic and web based support. The future will demand a real-time support round the clock. This round the clock support will be provided by virtual assistants created with help of artificial intelligence and supervised by human personnel. With this advanced support as an all-time service, usage of accounting software will become more secure and easier than ever. Personal client interaction will continue, but virtual accounting services for purpose of support, collaboration and service are a necessity. Thus, Darwinism in the field of accounting software would be an interesting field to research. 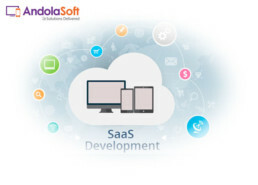 Analyzing the user demand of cloud/ SaaS app and software, Andolasoft is consistently developing powerful SaaS applications. 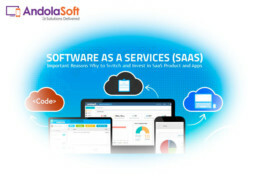 Besides accounting software, Andolasoft has Project Management Software and CRM Application in the cloud. 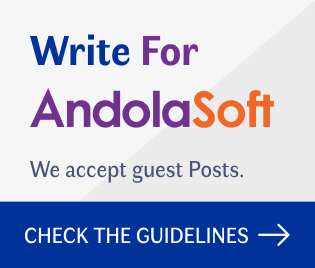 Moreover, we at Andolasoft are consistently building the name in the league of Product Development, Web & Mobile Application development.